This version incorporates more than 2100 new and amended data points since the previous release. This version incorporates almost 1,500 new data points since the previous release. Nearly all the new entries are households from the 1911 census, which is now complete. The balance includes an almost complete set of entries for the 1912 City Directory. 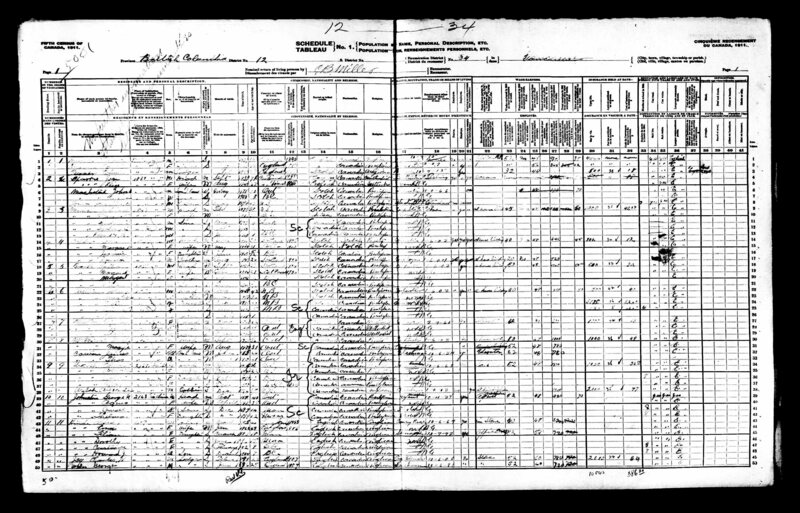 I had hoped to be able to say that everyone listed in the 1911 census is now listed in the Database. However, readable handwriting was NOT one of the requirements for census enumerators, and much of the writing, even if well formed, has now faded from sight.There are several hundred households missing for these reasons. The following link is to a typical page to illustrate these issues. This version incorporates almost 900 new data points since the previous release. About 200+ of the new entries are drawn from newspaper articles covering everyday life such as births, marriages, deaths, thefts, accidents, hiring help (search on “girl” for example), and selling household goods. The other 650 new entries constitute details of households included in the 1911 Census. The completion of the census entries will probably take another two months and will ensure the database contains virtually every person who lived in Grandview in 1911. The reformatting of both dates and data points continues apace. We have today uploaded a new and updated version of the Grandview Database. We have launched this version two days earlier than scheduled in order to ensure that the latest version is available for a “How To Research Your House” seminar at Britannia on Tuesday 28th February. This version incorporates more than 570 new data points since the previous release. This version also includes the start to a reformatting of dates. Dates in the database have previously been formatted as month-day-year; this is changing to year-month-day which allows for easier scanning of dates, especially for those entries that have considerable detail. At the same time, I have reformatted the last column which contains all the historical material. Bullet points have been removed to allow more space for data in an otherwise constrained environment, and allows for a more comfortable scan down the years for those entries with a great deal of data. There are many thousands of dates and data points in the database and so changing formats is a long and tedious business, only a fraction of which can be automated. The change has begun with this version and is about 60% complete. You will still find both formats represented for a while. As time passes, the older formats will be discontinued. This version incorporates more than 750 additions and updates. Most of these additions have been taken from a review of newspapers from 1916 – 1924 and include different kinds of information than formerly. For example, more than 50 households had their contents auctioned (search: “auctioned off”), others were subject to robberies, and returning soldiers (search: “soldier” or “war”) are a feature. There are help wanted ads, work sought ads, births, marriages, deaths, even a divorce. There are also significant additions to the details of retail and service companies both on Commercial Drive and elsewhere in Grandview. With the inclusion of the 1000+ entries so far this year, the database is much livelier and more personalised than before.Some earlier errors on the 1700-block eastside of Commercial Drive and the 1700-block Venables have also been fixed. This version incorporates additions made as a result of various research projects over the last few months — the same projects that have delayed publication of this updated version.